This is the second in a 3-part series—See Part 1 and Part 3. The arts are alive and well on our campus. While we have a large number of students majoring in pre-med and business, along with the humanities and social sciences, many of these students are also involved heavily in the vibrant and active arts community—one that is nearly entirely student-led and student-supported. It’s not uncommon to have a student be a pre-med and dance double major, or a business major with a theater minor, or political science and music performance double major. It can be done! This week we’re letting these students speak for themselves. Read on! 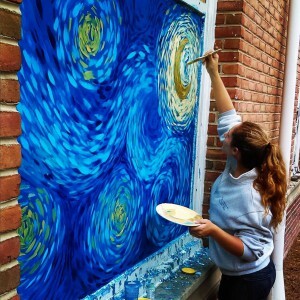 How did you get involved with art at Emory/what do you do? My extensive involvement with the arts at Emory really came from a need to continue to have art in my life. I had been accustomed to very intensive training and arts courses prior to Emory, so when I came here, I had to carve out my own way and find some hidden opportunities. Emory doesn’t have a structured visual arts department, but there are certainly ways to be involved in art! My involvement was really a snowball effect. Once I put my work out there, opportunities grew. I have worked very hard to involve myself in almost every facet of the arts community at Emory. My involvement can be broken down into a few things: volunteer work for organizations at Emory, my position of the Board of the Emory Arts Showcase, involvement in Alpha Delta Pi (ΑΔΠ) and the Greek community, my business, and finally, galleries and publications I either submit my work to or am requested to show work in. I had a wonderful professor named Sara Emerson my freshman year, with whom I completed a visual arts independent study. She offered me the opportunity to show my work in Starbucks, and my work has been up there ever since. 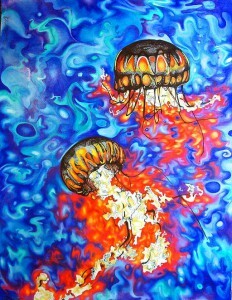 In my freshman year, I decided to start my small business and began selling my work, too. I also began doing more volunteer artwork both to promote my business and support the Emory community. Once I got my work out there in the world, people began offering me all kinds of opportunities. I have had my work published in 404 Magazine, The Pulse Anthology of the Arts, and The Lullwater Review, all because of opportunities others have given me. I am very grateful for their support. One of my favorite volunteer activities is with ΑΔΠ, specifically painting the front window of the sorority lodge. Each individual painting generally takes between 10-20 hours. I also volunteer to paint for other Greek organizations and for the Student Programming Council. I am looking forward to a lot of exciting developments in my business. I am currently working closely with my advisors and the national president of ΑΔΠ to create a line of merchandise and apparel for the sorority which will be available nationally on my website. Through the opportunities Emory has given me, I am working to have my artwork hung in the Cox Computing Center, am selling my work to parents at the Media, Literature and Arts Outreach house, and will showcase my work in campus shows such as The Peacock Gallery, Symposium, The Emory Arts Showcase, and possibly the Med School Gala in the spring. What do you like about being involved with the arts at Emory? I like how Emory shows its life and personality through the arts. Being involved in the arts at Emory means watching students refuse to give up their passions. Yes we still work hard in our courses, yes many of the students here may be doctors one day, but they are artists and poets and dancers and vocalists and performers as well. We are so much more than just a medical or business school. It’s incredible to see all the wonderful things our peers are capable of. Not only that, but the arts at Emory provides a bridge that brings communities together. I love working with a variety of people and seeing what incredible things come from people of all walks of life. Then, to see everyone share it with each other, learning about perspective and experience in a life other than their own, that is a beautiful thing. What is your favorite project/piece you have done? I really love working on original art. All of my work is inspired by people. 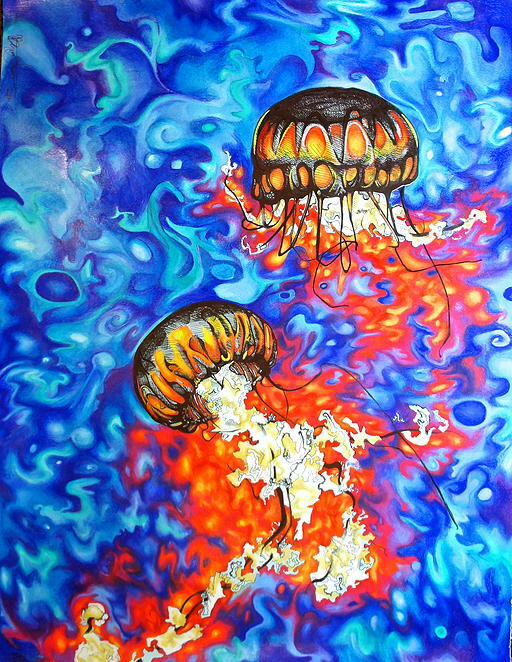 My favorite pieces would probably be the giraffes and the jellyfish which were inspired by my then-boyfriend my freshman year of college. They have a story behind them that he will never know. What dance groups are you in at Emory? 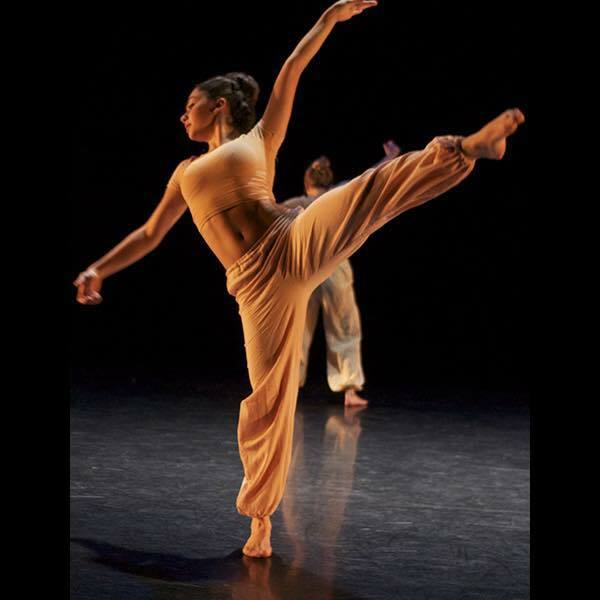 I am involved in the Emory Dance Company, AHANA Dance, and Tap That. What is your favorite part about dance at Emory? My favorite part about dance in general is having the ability to express myself in a way that words cannot. It’s very freeing. My favorite aspect of being involved in so many different groups on campus is the exposure it gives me. I am able to meet and work with so many different students and choreographers to perform in a variety of shows in front of a range of audiences. Every show has a different feeling, so why choose just one? Also, some of the most amazing people and my best friends at this school are involved in the various dance programs, and I could not be more grateful for that. The group dynamic is fun and energetic, especially as you get older and more involved, and subsequently know more people in the program. Dance at Emory does not have a competitive vibe, because at the end of the day, we all want the best for the overall piece, and we are all close friends. There is a sense of pride in the work, and everyone has a great work ethic. The Emory Dance Company tends to be slightly more serious as it is a graded course, and our choreographers are professional guests artists.